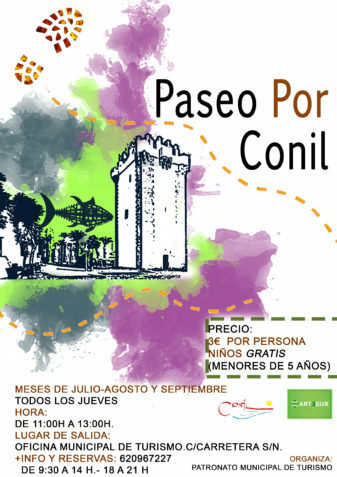 Every Thursday you have the opportunity to know all the charms of Conil. The walks begin at 11.00 in the Municipal Tourist Office. It is necessary to reserve the place on the phone 620967227.